Open Country Dairy required access for the construction of new building as well as upgrade of plant at their Whanganui site. Scafit provided a number of scaffolds for Open Country Dairy and lead contractor DML Construction, including this 12m high cooling tower. 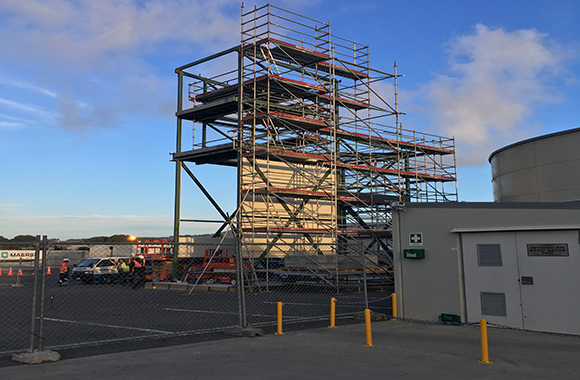 Following a medical incident on site, the Scafit team's rescue training quickly came into action resulting in a positive outcome. The company has invested heavily in training and safety equipment and accreditation, as well as encouraging a safety-first culture which is employee-driven. The outcome on this site led to this article written by Site Safe on the benefits of being prepared.